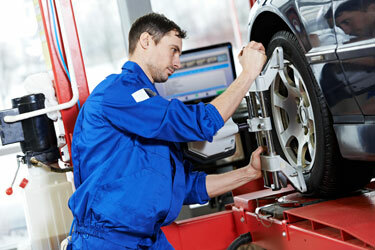 A common maintenance that your vehicle needs, is a front end or wheel alignment. Your vehicle’s alignment is what keeps you going straight and keeps your tires from wearing unevenly. A car accident or “fender bender” is often the culprit to throwing your car’s alignment out of whack, but something simple like hitting a curb or driving over a pothole can also throw your alignment out. Depending on the situation you may need a front end auto alignment or a full 4-wheel alignment. Ron’s Auto and RV has expert mechanics on staff that can help you decide which service is best for your vehicle. Uneven Tire Wear: Your tires look as if the outsides are wearing at a different rate as the insides. Drifting: You notice that your vehicle is drifting to the right or left while driving. Vibrating Steering Wheel: Your steering wheel is vibrating. Non-Centered Steering Wheel: Your steering wheel appears to be off center while driving. What happens if I don’t to keep my front end aligned? Failure to keep your vehicle’s alignment in order can result in the rapid wear of your tires causing you to have to buy new ones faster than necessary. Bad alignment is also a safety issue because it can affect your brake system and cause steering issues. During routine maintenance, we would be happy to include an alignment inspection to ensure the wheels of your vehicle enable your tires to wear evenly as they should. How is a vehicle alignment service performed? Wheel or vehicle alignment is best left to certified professionals. This service requires re-configuring your vehicle’s suspension which is done using a computerized alignment machine. Each vehicle has different needs when it comes to vehicle alignment. 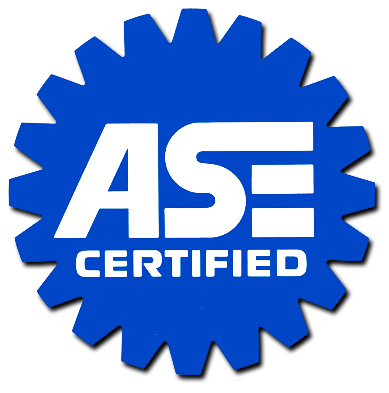 Each automotive manufacturer has specific alignment degree standards depending on the type of vehicle. After the service is complete, we can provide you with a printout so you can see how your wheels were aligned before and after. If you have any more questions regarding your car’s alignment, don’t hesitate to give Ron’s a call today!